Celebrations of love ensue this month as Valentine’s Day gets closer, which brings a perfect opportunity to talk about mono, nicknamed the “kissing disease.” So how serious is mono? We’re here to shed some light on the issue. It is unclear exactly how many people get infected with mono each year, but what is known is that teens and young adults are more likely to contract the virus. Because people in this age group often spend time in close proximity to each other for long periods of time, there is a higher chance of someone between the ages of 15-24 getting the virus. We want to help you understand the mono virus and help you keep your family healthy. Here is some helpful information about the virus, what the symptoms are, and how you can help family members who may have mono. Infectious mononucleosis, or mono, is a viral infection that is most commonly caused by another virus—the Epstein-Barr virus, which is a part of the herpes family. This virus is extremely common, and most people are exposed to this virus by the time they are full grown adults. Infectious mononucleosis is passed through saliva, which is why it is referred to as the “kissing disease.” However, despite the nickname’s popularity, this is not the only way to transmit the virus. It is also passed through coughing, sneezing, sharing food or a drink with someone who has mono. According to the Mayo Clinic, the virus usually takes around four to six weeks after being transmitted before someone starts showing symptoms. There are various symptoms that someone can have when they contract mono, symptoms that are very similar to the common cold or flu. However, there are some symptoms that set it apart. One of the main indicators of mono is swollen lymph nodes in the neck and armpit. Lymph nodes are small glands that collect bacteria and viruses in the body so that they can later be killed by white blood cells. These bean-shaped nodes become sore and swollen when the body is being attacked by the mono virus. Another indicator that you or a loved one might have mono is swollen tonsils, which are found at the back of the mouth. This is often accompanied by a sore throat, which can be painful. Also, be on the lookout for a skin rash. The rash will typically be a light pink and look similar to a rash from the measles. Other symptoms include fatigue, fever and headaches. If you or a loved are experiencing a mixture of these symptoms, then they might have Infectious mononucleosis. How Can You Treat Mono? Unfortunately, there is no treatment for mononucleosis, as antibiotics do not treat viral infections. However, there are ways to treat the symptoms of mono, which your doctor can help out with. Mono is one of those infections where you simply need to let it runs its course. With a lot of bed rest and fluids, the virus should go away on its own. However, one thing you should look out for is secondary infections. Some people can develop strep, tonsillitis and sinus infections because of Infectious mononucleosis, so be sure to stay on the look-out for any other infections. Most importantly, be on the look-out for spleen activity that is unusual. Infectious mononucleosis can cause the spleen to enlarge, which can potentially lead to it rupturing. 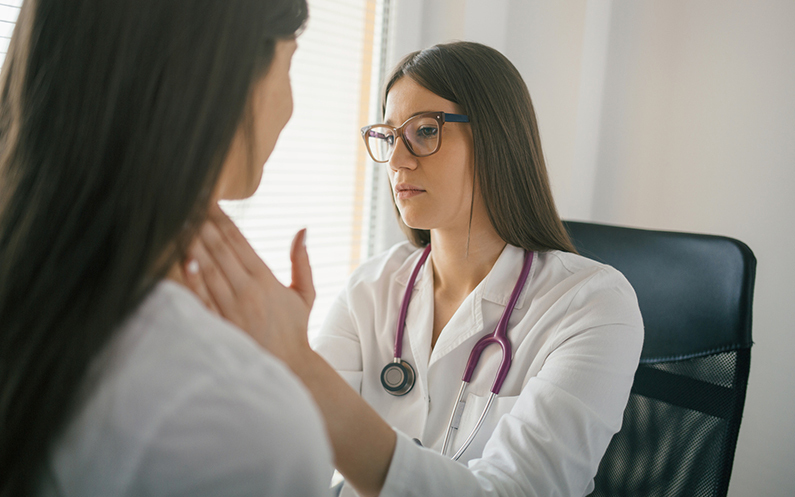 It is best to see a doctor immediately when you develop symptoms of Infectious mononucleosis, especially if you have a weakened immune system. Stop by your closest Zip Clinic® to see a provider about your symptoms and what you can do to treat them. We have locations in Montana, Colorado, and Kentucky and you never need an appointment.